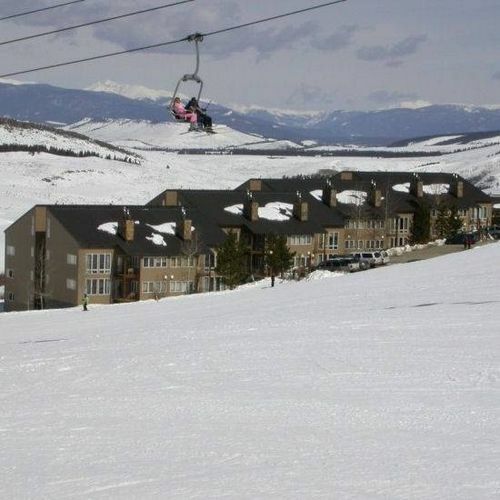 Just 90 minutes from Denver and located at the base of the Silver Creek ski area, Mountainside at Silver Creek is three miles to Granby Train Station and between Winter Park and Rocky Mountain National Park. 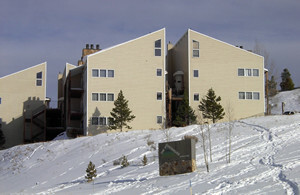 Offering spacious, ski-in/ski-out access condominiums, Mountainside at Silver Creek is adjacent to Solvista Golf & Ski Ranch and each unit can accommodate up to 11 people. Some units have lofts. Featuring full kitchens, gas fireplaces, in-room six-person hot tubs, private deck, color cable TV, multiple bathrooms, outdoor pool, tennis and basketball courts for use in summer only. Enjoy the convenience of a dishwasher and a microwave in each unit, too. Nearby ski areas include Winter Park, Mary Jane Ski area, Copper Mountain, Breckenridge, and Arapaho Basin. They are all within driving range and the resort is only 15 miles from Hot Sulphur Springs. Headwaters Golf Course is two miles from the property. Grand Lake Golf Course is 15 miles away. Mountainside at Silver Creek is great year-round resort, but for those who love to ski, this resort will keep you on slopes! The nearest airport is in Denver, just 100 miles away. Beautiful Colorado is the vacation destination for so many. Where else can you find the stunning Rockie Mountains, sunshine, perfect skiing, dramatic vistas, and comfortable accommodations?